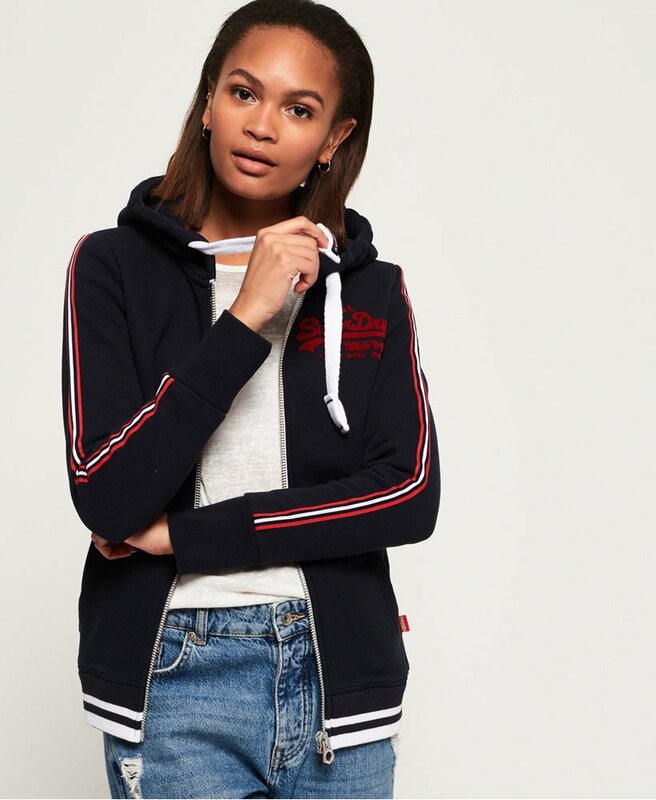 Superdry women’s Vintage logo zip hoodie. A classic staple to your wardrobe this season, the Vintage logo zip hoodie is a great option to throw on with any outfit to keep you warm and cosy. This hoodie features a single zip fastening, a draw cord adjustable hood and a textured Superdry logo on the chest. The Vintage logo hoodie also features ribbed cuffs and hem for a comfortable fit, two front pockets and stripe detailing along the hem and sleeves. For the finishing touches, the hoodie has a Superdry tab on one side seams and the signature Superdry orange stitch in the other.